PRISON bosses are catering for a growing number of vegan prisoners by supplying animal-free treats. Non-dairy chocolate, quinoa crisps, vegan milk shakes and animal-free shampoo have been made available. Prisoners have also called for non-animal based detergents and “green” mouthwashes and toothpaste. All the items are now available on UK prison canteen lists circulated to prisoners who are allowed to spend £25 a week from their jail bank accounts on treats and toiletries. Whatever they order is delivered to their wing. 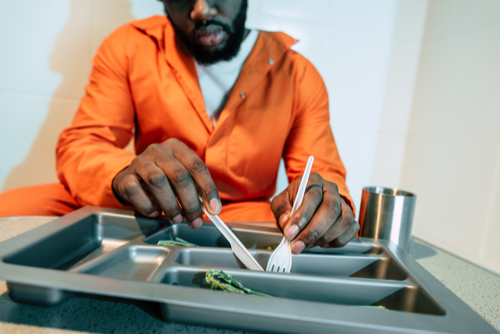 UK prisons are now required by law to offer vegetarian and vegan meals to inmates.